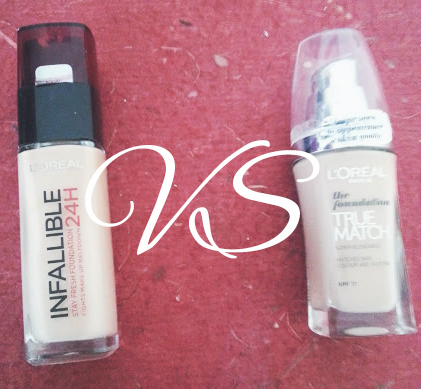 I have been loving L'Oreal foundations recently, and thought instead of reviewing them each on their own, a comparison would show you which might be for you and what makes them different. 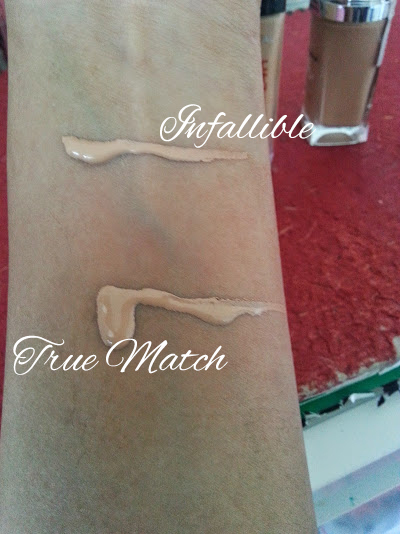 I purchased the True Match last June time after hearing so many good words about it, and then when I went back to repurchase it I decided to pick up the Infallible one as well as it was on offer! Formula - Both also come with pumps, which is just an added bonus! True Match - It is very runny and watery, but don't let this put you off. It doesn't feel watery when blended on to the skin. I tend not to put it on the back of my hand to apply as it goes everywhere, instead apply it straight to my face or on to the brush. 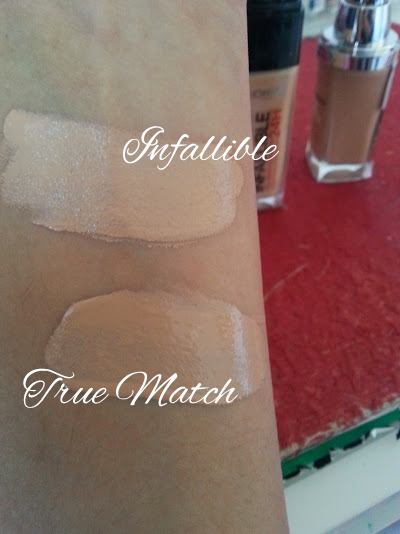 True Match - Medium Coverage and Full if you went with two even layers, which I see as being amazing seen as tough the formula is very runny. It stays matte on your skin, I put powder on but there really is no need. 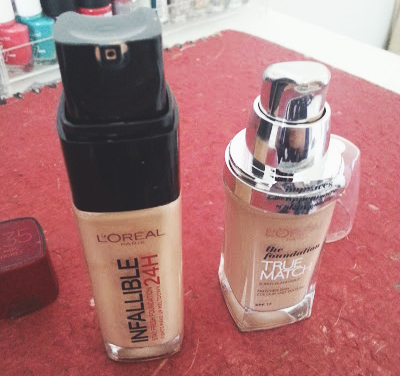 Infallible - Within one layer of this you have that full coverage look, I prefer wearing this for occasions and at night otherwise it looks like too much makeup on your face. You also need the tiniest of amounts to get the desired look. This has more of a glow to it, and is more dewy looking. True Match - I would say it lasts a school day, so around 6 hours and then I feel the need to either powder or remove it completely as it is slowly disappearing. It does amazingly well when I walk to and from school, the sweat doesn't come through and it lasts through a walk up a hill. Infallible - This lasts around the same time, but I feel that it starts to look cakey after the 6 hours so powdering doesn't help. Both of these shades are similar to one another, which made it easier to find. I love the range of shades you get in the True Match - there is something to suit everyone's undertones and colour from WARM - NEUTRAL - COOL. Whereas the Infallible is very restricted shades wise. True Match comes in at £9.99 and Infallible comes at £9.99. L'Oreal always have either a 3 for 2 or Buy One Get One Half Price offer so look out for those as then you get your money's worth. 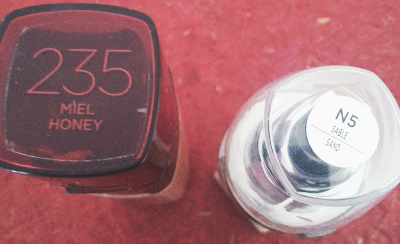 I love them both, and these are first face products I have tried from the brand and have fallen in love. If I had to repurchase one again out of the two and use it forever (aka if i was stuck on a desert island) I would choose the true match. It covers nicely, feels lightweight on the skin and lasts as well. Have you tried any of these? If not, would you want to try any?